There are certain authors who know how to tap into the fears of everyday people. They excel at putting their characters in extreme situations, but situations readers can still easily picture themselves in. Writers like Linwood Barclay, Harlen Coben, and Carla Buckley. 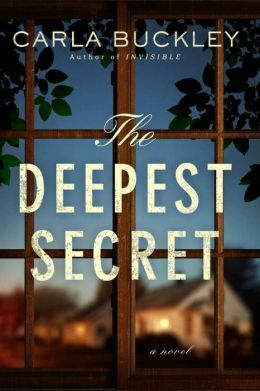 In her latest novel, The Deepest Secret, Carla Buckley once again takes domestic suspense to a new, but all too believable, level. It is the story of Eve Lattimore, a suburban wife and mother who experiences the same mundane problems that every reader has from time to time. But what sets her apart is the tragic condition that faces her son. Tyler Lattimore has XP (xeroderma pigmentosum), which means that his body is not able to defend itself again any type of UV light. As a result, Tyler must stay locked away in the house (often isolated in his dark room), and the Lattimore family must take extra precautions to ensure his health. Eve also has a daughter named Melissa. She is older than Tyler and while she loves her brother, like any teenager, she sometimes gets annoyed with him and the restrictions put on her own life as a result of his condition. She certainly knows that her mother loves her, but it does seem that Tyler is Eve’s favorite. Readers know that parents are not supposed to have favorites, but what are they to do when one child clearly needs more attention than another? David Lattimore, Eve’s husband, works out-of-town, but also often stays there longer than might be necessary. It is clear that he is trying to escape his home life and the feelings of inadequacy that being around his family elicit within him. To make matters worse, he may be just steps away from having an affair with his co-worker. And yet, there is little doubt that he wants to do right by his family, if only he can get past his own hang-ups. 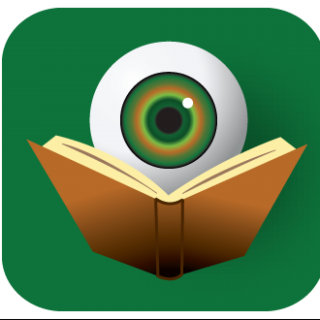 In rotating chapters (with points-of-view from Eve, David and Tyler), Buckley makes the reader care about the Lattimore family. And then with one tragic accident, she shows how everything they have built could be destroyed. Readers will watch as one lie told during a moment of extreme crisis spirals out of control until no member of the Laittimore family or their surrounding community is left unscathed. How far will Eve go to protect her son? Would she do the same for her daughter? Where most authors would have made Tyler’s XP the focus of the story, in the case of The Deepest Secret, Buckley allows his condition to be just another aspect of his character. It is true that much of the plot would not exist were Tyler not suffering with this illness, but Carla Buckley does not let the disease define him. As Tyler begins to increase his risk-taking in an effort to create some semblance of a normal life, the reader knows that this will only add further complications to the crisis at hand. As foreshadowed by the title, Carla Buckley fills her story with multiple secrets. She wisely lets the reader in on these secrets at just the right moment for the maximum impact to the plot. She shows that everyone has a secret and that times of crisis can make people act in ways that seem uncharacteristic. By populating the background with interesting friends, neighbors and detectives, she creates the illusion of a tight-knit community – one that is a single thread away from completely unraveling. Just as she has done with her two previous novels, Carla Buckley presents readers with characters who are facing incredible obstacles which force them to face truths they never thought they would have to reveal. Ultimately, The Deepest Secret is the one we keep from ourselves.